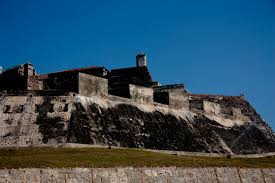 2- Know the Castillo de San Felipe de Barajas. 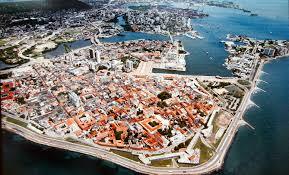 It is one of the most important fortifications built by the spanish crown in the times of the colony. Here the battle of Cartagena (1758) was won by the Spanish commander Blás de Leso to Admiral Vernon, defeating forever the british aspiration to dominate the waters of the caribbean. 3- Go up to the Cerro de La Popa, by car, bus or tour. 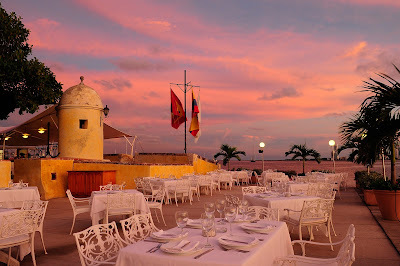 There you can appreciate from the heights, why Cartagena was the most important city for the Spanish crown in America. This is where all the gold, silver and precious stones were delivered in ships to Spain. And also you may know about how the priests defeated Busiraco, a demon that lived in the mountain. 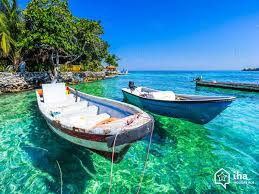 4- Have a beach day; there are many options where to go, from Bocagrande to Zona Norte or Crespo you will find beaches that will make your day a wonderful one. 5- Walk by Getsemaní and hang out at the Plaza de La Trinidad. It really gets going at sunset and you can find many people from all over the world having fun in Cartagena. This neighborhood is the trend now in Cartagena and you should go there just to have fun. So enjoy your visit to Cartagena and to Colombia. Remember, travelling makes you a better person. 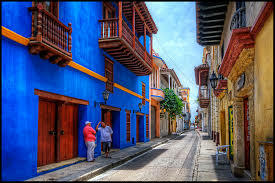 Cartagena de Indias, the top Colombia´s touristic destination is now another site of the world to offer GPS travel articles thru GPSMycity. A GPS-guided travel article mixes important information and a location guided map to make the tourist very well informed about the site and the place where is located. It also serves to guide the tourist thru a route that will give the very best info and coordinates of the specific location. An app to guide you by the best classical restaurants of Cartagena de Indias, the top tourism Colombia´s destination is available to the public of App Store and Google Play. HAY FESTIVAL 2019 EN CARTAGENA DE INDIAS, COLOMBIA. 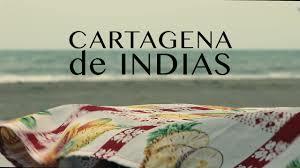 Cartagena de Indias recibe todos los años durante la última semana de enero uno de los festivales más importantes del mundo de las letras. El Hay Festival, es una fiesta de la cultura en la cual los escritores y autores se encuentran con el público en charlas y eventos en donde cuentan sus formas de creación y acercan su obra a los asistentes creando un ambiente en el cual el realismo mágico que se vive en la ciudad se compagina con la nueva literatura que se escribe en la actualidad. This article is now available as a mobile app. Go to GPS TOUR to download the app for GPS-assisted travel directions to the attractions featured in this article. Welcome to Cartagena de Indias, the biggest prize in the Caribbean Sea for pirates; it was here, in the times of the colony (1533-1819) where most of the gold, silver, emeralds and agricultural produce like potatoes, corn, tobacco or sugar, were gathered and sent to Spain 2 times a year in a huge fleet of ships. 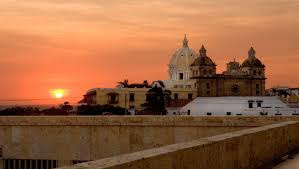 Cartagena de Indias was founded (1533 AC) in this specific location by the Spanish conquistador Pedro de Heredia, because it had natural defenses to stop attackers by sea and also by land.